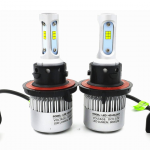 UPDATE: See the latest Brightest LED Headlight Bulbs rankings. 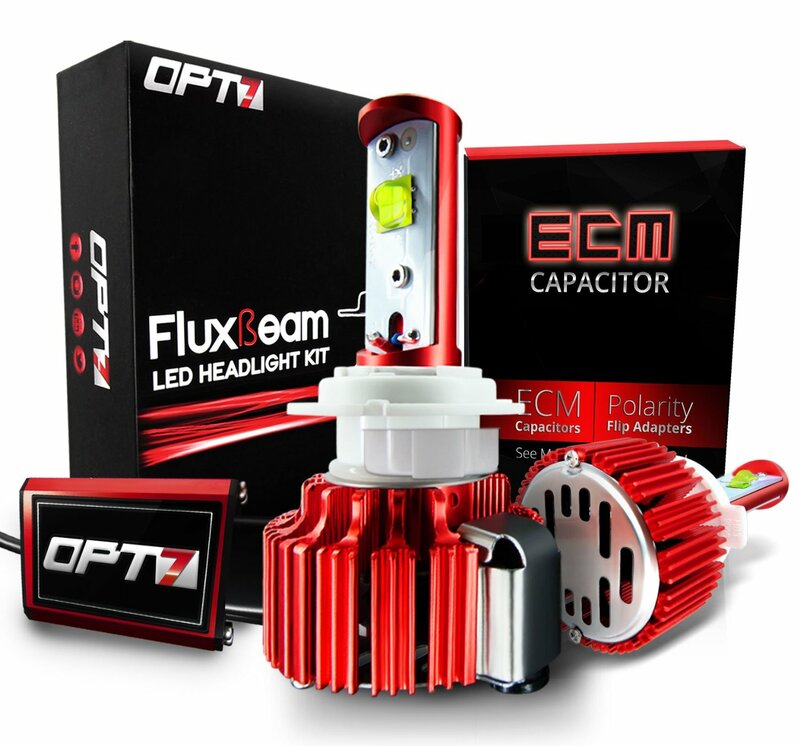 The LED lighting scene has been blessed with a lot of development over the past few years, and the automotive market can take a lot of thanks for this work. 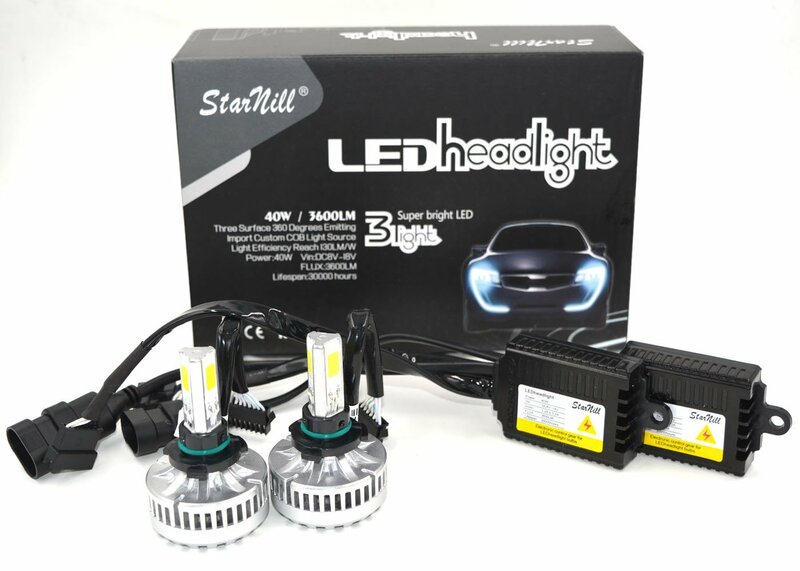 This development has also driven competition with many companies offering products to replace your stock halogen or HID bulbs. 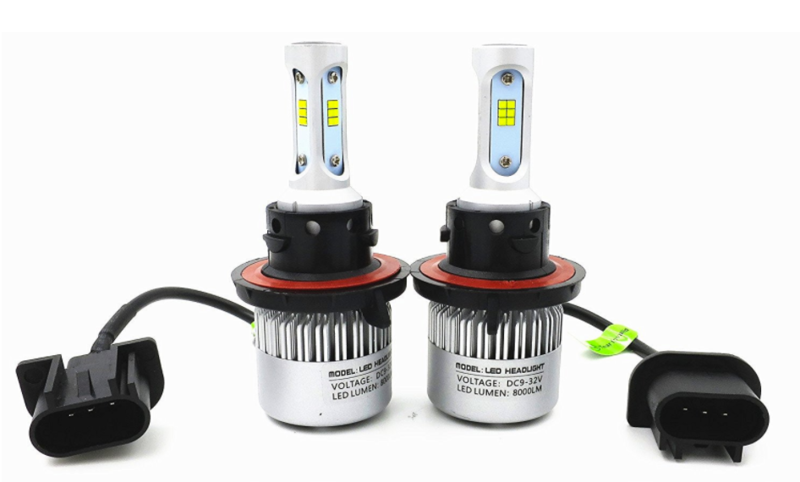 So sit back as we rank and review the brightest LED headlight bulbs. Trying to make this choice is then no easy task. There’s a lot to consider when purchasing a new set of headlights. Ultimate to all of our objectives though, is to have the brightest LED headlights, as this adds the most benefits to creating a safe driving environment. We’re not going to get into the debate about what technology you should be choosing for your headlights. If you’ve come here, you’ve obviously made your choice, and a good one at that. LEDs offer a number of advantages over other headlight technologies, but one of the biggest ones is their amazing efficiency. 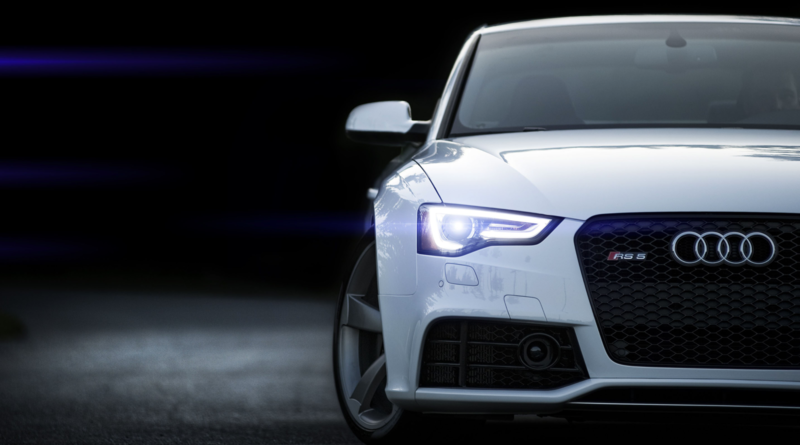 Most laws governing headlights limit the maximum power draw of the headlight. This is usually between 50W and 60W, and is based on the, least efficient, halogen light bulb. High power LED light bulbs are thus able to use the same amount of power as a halogen, but output considerably more light. To keep things fair in this comparison we’ve opted to spec each light bulb based on the H11 (H8) format. The H11 is a single filament light bulb, and is most commonly used as a low beam light, but can also serve purpose as a fog light. All the light bulbs we reviewed are also available in other standard forms. We’re not going to force you to read through this whole article (although we recommend you do). 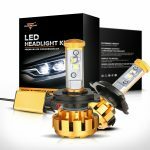 If you’re looking for the best LED headlight bulbs on the market, with the best warranty, the XenonPro LED Headlight Kit is where you can start and stop your search. These bulbs not only report one of the the highest lumen rating, but they also come in four different colors, offer a lifetime warranty and use advanced German technology. So what is “advanced German technology”? From what we can see, it includes a durable solid aluminum design, waterproof LED drivers, and built in micro fans. In other words, these have been over engineered and it shows. Installation is super easy too. 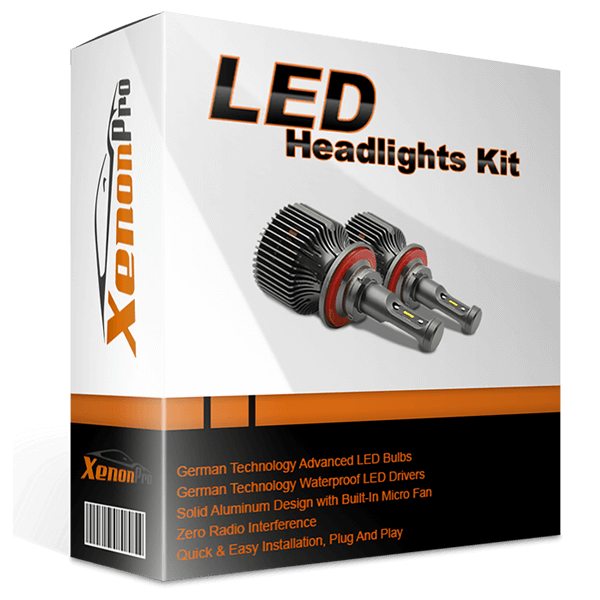 These XenonPro LEDs offer a simple plug and play installation. No cutting, no splicing. Simply plug in your factory bulb harness, install the LED bulbs in the factory bulb housing and you’re done. Installation should take no more than an hour, depending on the vehicle. Just a heads up, some vehicles require the use of warning canceller. This is what it sounds like. It removes the dash warning lights and headlight flickering warning. XenonPro gives you a list of the vehicles that require this, so don’t sweat it. 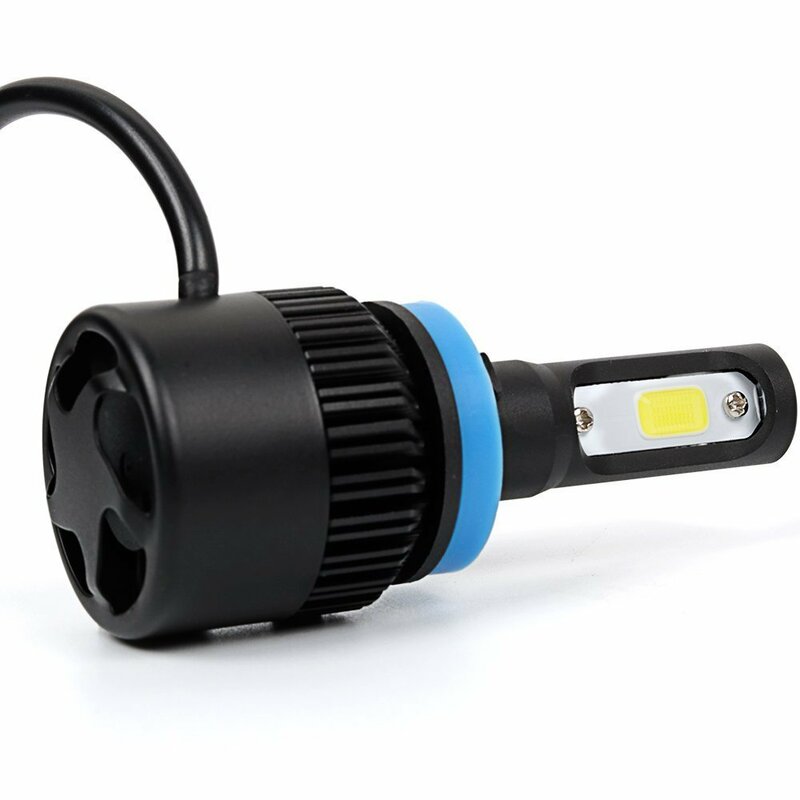 If you’re the type that likes to buy the best and buy it once, these XenonPro LED headlight bulbs are for you. 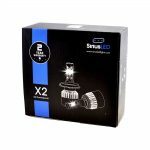 Excellent light output, exceptional design and construction, and an unbeatable lifetime warranty with free replacements, you can’t go wrong with these. 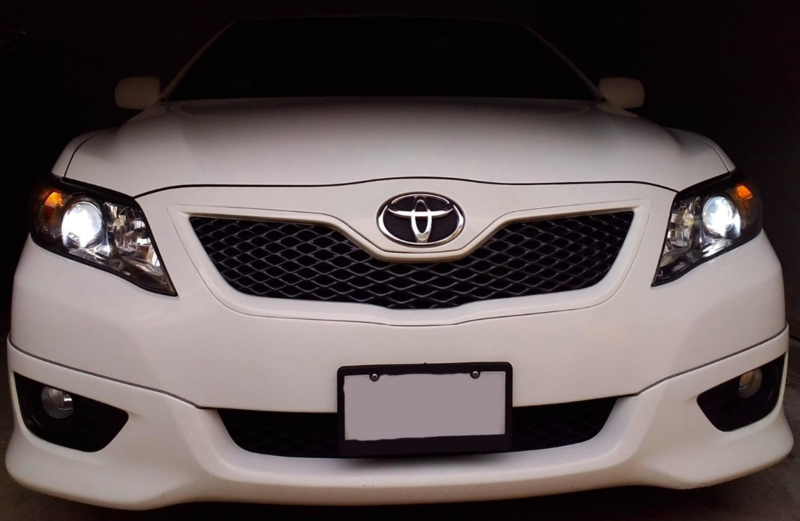 For these reasons, we chosen the XenonPro LED Headlights Kit as our winner for brightest LED headlight bulbs. JDM Astar are one of the newer companies on the block, but they’ve put a lot of effort into developing their name as well as their products. 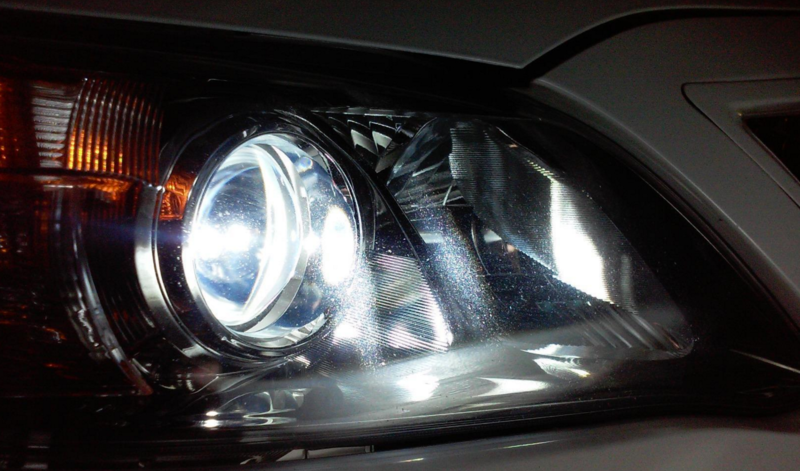 Based in California, the company skipped the HID phase of automotive lighting and jumped straight into LEDs. If you need a light bulb for any aspect of your car, they will have a product for it. We’ve been fairly impressed with JDM’s offerings, and the G1 is one of their newer products, released end-of-year 2016. One of the biggest features of JDM products is their lack of external driver. Their engineers managed to design the products so that all the electronics could be contained within the light bulb. With a light output of 4,000 lumens per bulb, it may not be the brightest light bulb, but it’s still towards the top end. 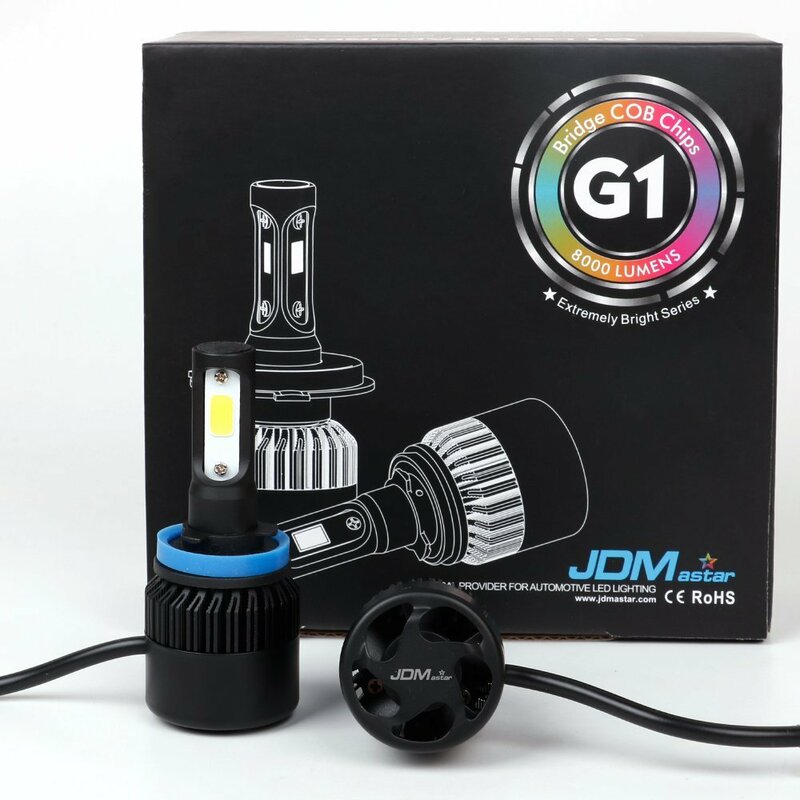 JDM also offer a sister product based off the CSP Chip LEDs. 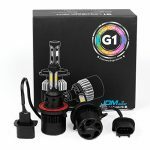 Dubbed the G2, it has a similar light output, but a slightly bluer light. Everyone’s impressed by the performance of the lights, with one customer even commenting that they had to start wearing sunglasses at night. The lights were that bright. The lack of higher rating though comes from reviewers who felt that as bright as the bulbs were, the distribution of the light was poor, resulting in lots of light right in front of the car, but little distance penetration. This problem seems to be specific to some cars though, so don’t rule it out on that basis alone. 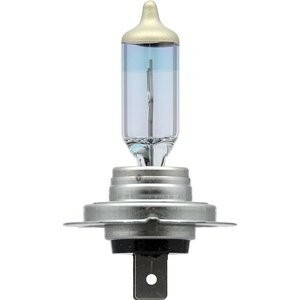 At the price JDM offer these bulbs, no one should overlook them. It’s hard to describe the SiriusLED headlight bulbs, other than calling them what they are. Which is spitting image copies of the JDM Astar we just mentioned. The only visible difference is the lack of JDM Astar logo on the bottom of the casing. Otherwise the specifications are identical. A 4,000 lumen, 6,000K light bulb running on COB LEDs. It’s got the same heat dissipation claims, and easy plug-and-play installation, without an external driver. 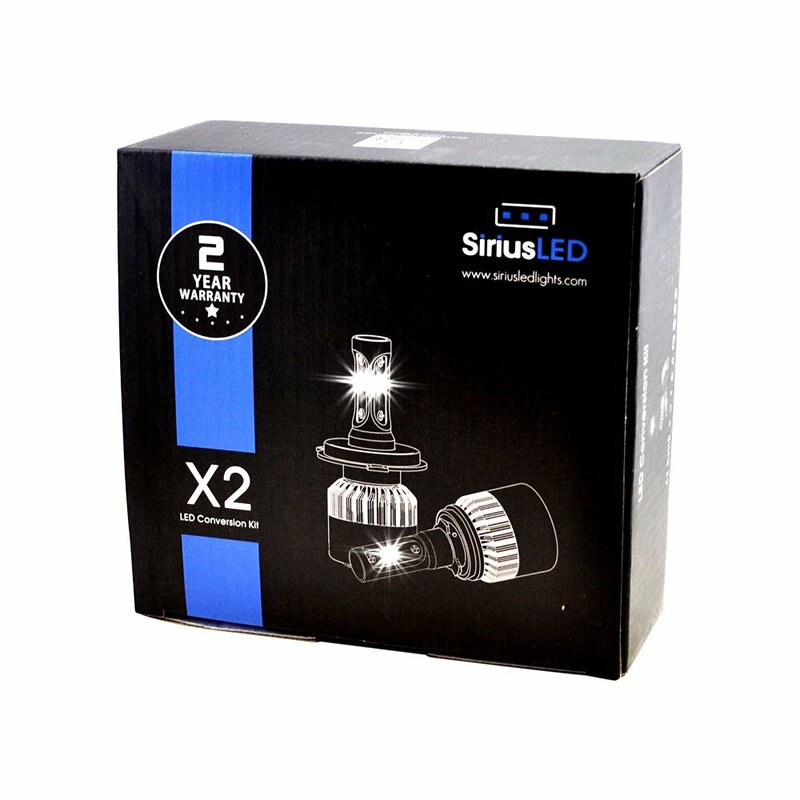 One benefit of the SiriusLED product is that they offer a 2-year warranty (up on JDM’s 1-year warranty) and claim the bulbs are good for 30,000 hours (as opposed to JDM’s 20,000 hours). Those claims are easy to make though when you’re competing with an identical product. It’s also currently 4c cheaper. Besides these potentially being a knockoff, there’s really little to lose if you decide to purchase them. 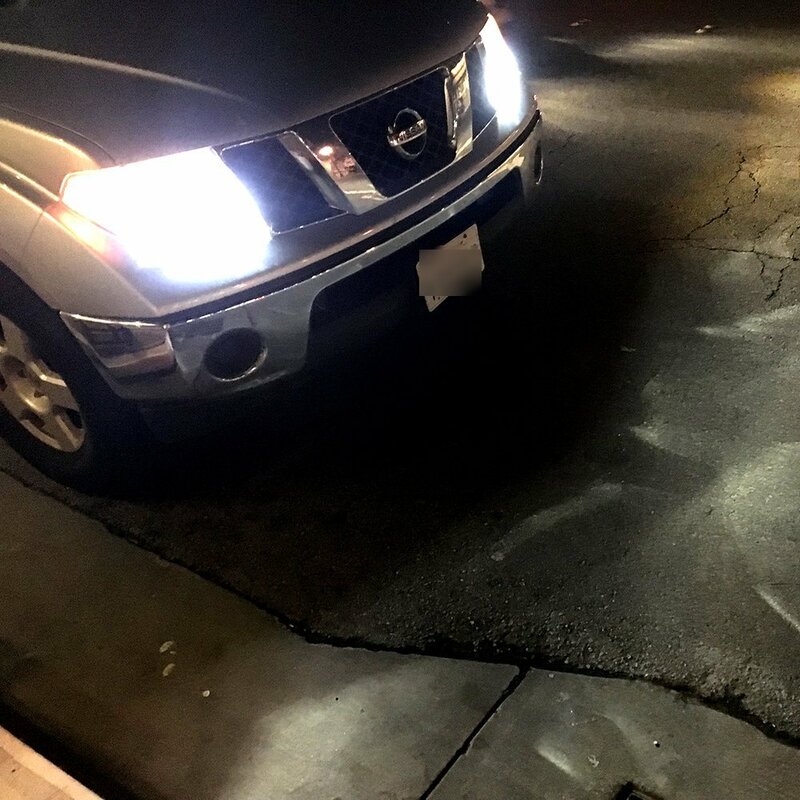 Although when we look through complaints, we do see more people claiming the lights only lasted a few weeks before they ran into problems with them. Otherwise you have a string of positive reviews, with people thrilled at how bright they were and how quick the installation procedure was. If you’re happy to take your chances with a small failure rate, and are willing to fight it out with the warranty. Go for it. Alla Lighting are another California based lighting distributor. 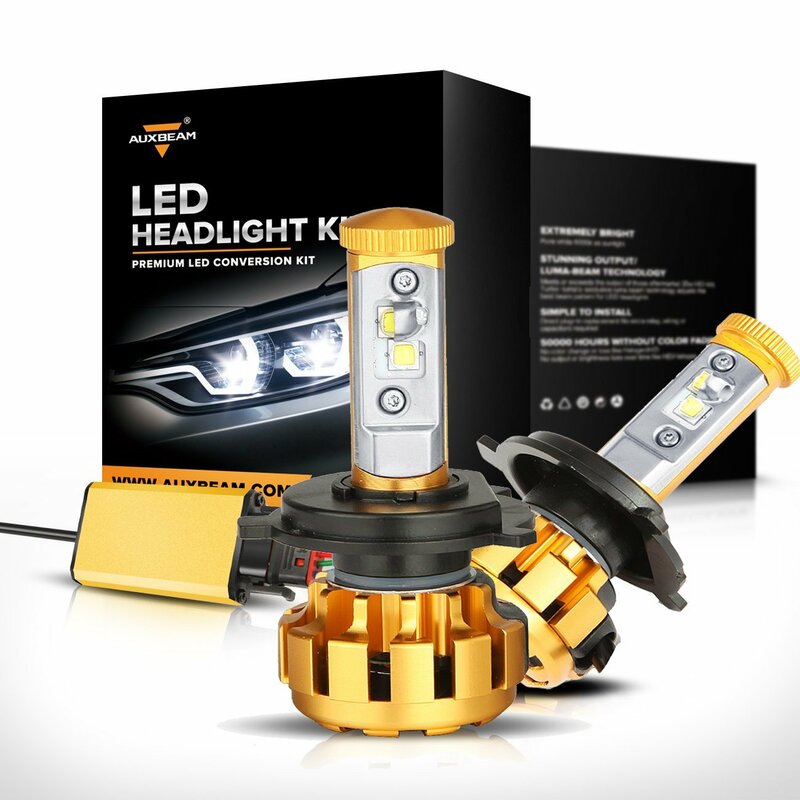 They sell not only headlight bulbs, but a full range of LED based interior, license plate, turn signal, etc. light bulbs. The light bulbs check all the standard boxes, with a bright 4,000 lumens set of LEDS, easy installation and waterproof design. Alla Lighting do take care to stress their superior cooling technology, featuring a fan that spins up to 12,000RPM and making use of a special Japanese two-ball fan to supposedly provide heat dissipation that is 20 times better than normal. This nets the bulb up to 30,000 hours of use and a one year warranty. Alla Lighting do offer a convenient 30-day money back guarantee if you’re not satisfied with your purchase. Perfect if you’re not sure if you really want to make the change to LED or not. Lots of reviews commented on how bright these light bulbs were, specifically making mention of the white light that they produce. Alla Lighting do mention that on certain European model cars an additional wiring harness will be required, and this was supported by some customer complaints. A few people also commented about the noise caused by the cooling fans, saying that it was loud enough to hear in their car’s cabin. This is not the majority’s result though, and we still feel that this is a good set of lights to purchase, although being $10 more expensive than our previous two sets, probably not top of our list. 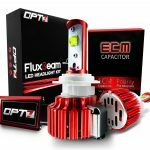 Continuing the trend of California based companies is Opt7, although they may well be the original Californian automotive lighting manufacturers having been in the business for well over 10 years. Opt7 have a good reputation for making solid, bright lighting, both in the HID and now LED arena. The Arc-Beam kit on review today guarantees a perfect light pattern thanks to their exclusive Arc-Beam lens technology. Coupled to this is their specially designed Modular Heat Protection technology and you have a winning formula, although not winning today’s competition with a modest 3,500 lumens light output. Opt7’s product features a small driver that includes the necessary electronics to ensure function with cars that make use of CANBus communication. People are happy to praise the bright light that these lights cast, with only a few customers complaining about ill-fitting light bulbs causing problems. At $100 per set it’s quite a pricey investment. But Opt7 deliver the quality one should expect from light bulbs. Apparently all the best LED retailers operate out of California, because Auxbeam’s distribution center is there too. With high manufacturing standards and great customer service, Auxbeam offer one thing with this product that we’ve yet to see another LED light bulb manufacturer offer, and that’s DOT certification. Technically speaking all light bulbs that are fitted to road going vehicles in the US have to be certified as legal by the Department of Transport (under the guidance of the Society of Automotive Engineers). 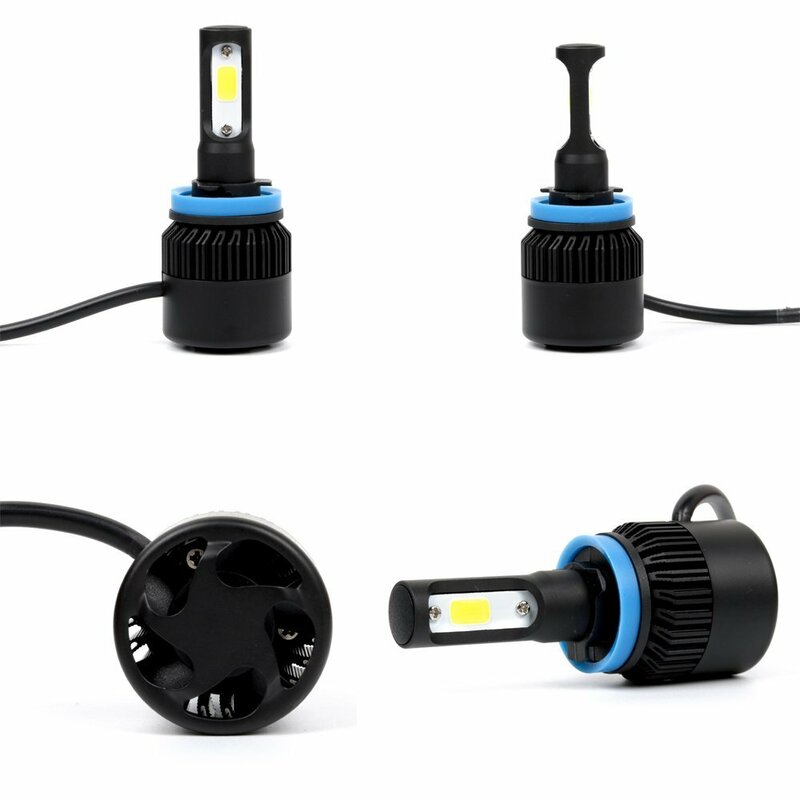 Up till now, manufacturers selling LED light bulbs for car headlights have sold them on the premise that they are only used for off-road purposes. The ability of Auxbeam to get a DOT certification is certainly a big step forward in the use of this technology in the US. Besides this the Auxbeam F-16 follows conventional LED light bulb design patterns with a rear mounted cooling fan, and external drivers. It should be noted that the drivers include CANBus-ready electronics to ensure a simple, error-free installation. The Auxbeam F-16 is an equally strong contender for best LED headlight, but at only 3,000 lumens, it won’t take the title of brightest. Most reviewers are positive about their experience with the lights, referencing the easy installation, and fairly good lighting. Negative reviews were fairly scattered with some claiming they were not as bright as expected. 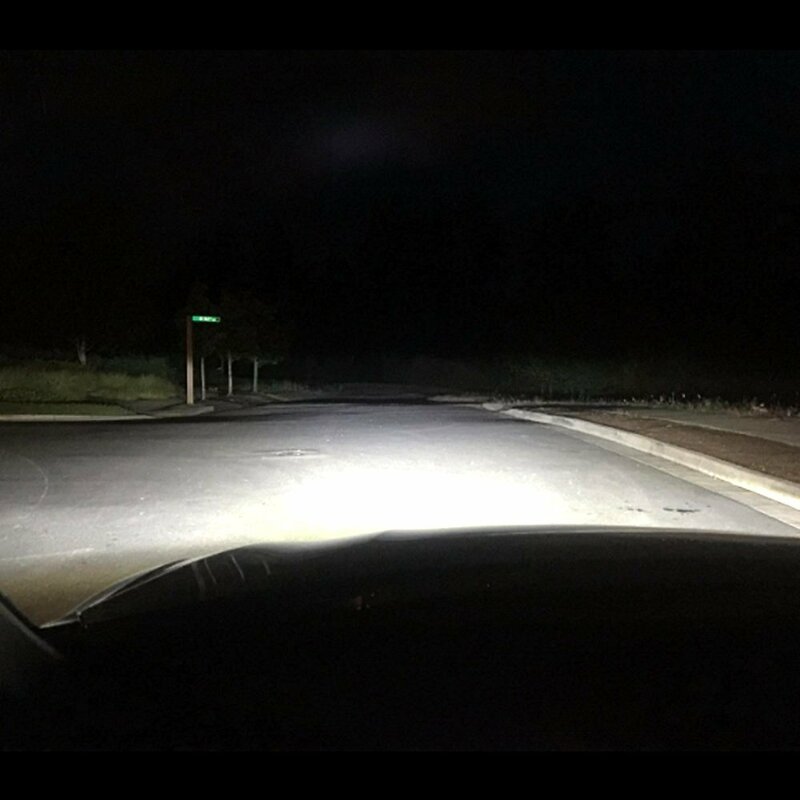 While we picked out our winner at the beginning of this article already, the SNGL LED headlights might be the brightest, but they’re also the most expensive and some people just aren’t willing to make that kind of investment. If it’s too rich for you, then you probably want to skip the Opt7s as well. Which leaves our pick of the JDM Astar as our runner up. At 4,000 lumens, a good name in the industry and a reasonable price tag, we’re sure it will do the job for you.